After exploring the presence of saison beer in Belgian cities in the previous article, I will now turn to the place this beer type is now most associated with: the countryside. 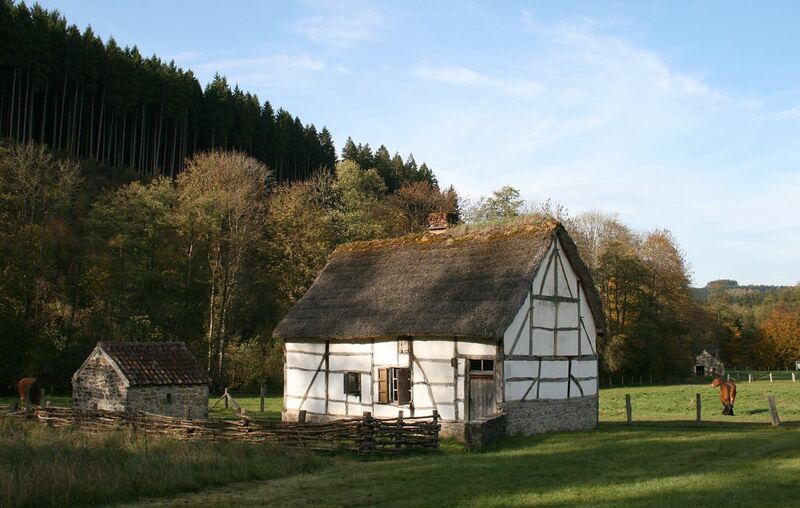 What do we know about the historical rural beers of Wallonia? 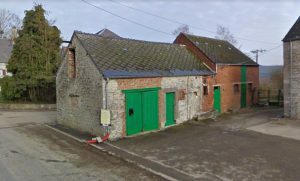 Despite the fact that to our modern eyes the 19th century Walloon countryside seems decidedly pastoral and primitive, I suppose it is worth asking the question how relevant it is to look for a farmhouse beer in what was then considered to be the most industrialised region of the European continent, in one of the most urbanised countries in the world. In 1800, almost 20% of Belgians lived in a city with more than 10,000 inhabitants, while in Germany this was only slightly more than 5%. As early as 1829, the quantity of coal extracted in the Borinage region surpassed the total production of France and Germany combined, while by the 1840s, the Cockerill factory near Liège was the largest steel manufacturer in the world. Anyway, there still was a lot of countryside left. Information about breweries there is however sparse. One of the most interesting sources is a 1996 article by Roger Pinon, who was connected to the Musée de la vie Wallonne (‘Museum of Walloon life’) in Liège. This folklore museum had already collected some brewing recipes back in the 1920s and 1930s, and had received more after a local radio station in Namur had asked listeners for recipes in 1981. Pinon combines these and more information in a rather messy article, because what he comes up with is rather anecdotal and hard to quantify. Still, I will try to draw some conclusions from it. 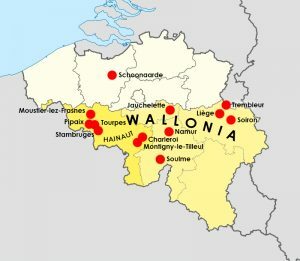 Up until the French Revolution, which abolished many old institutions and laws, many Walloon villages had compulsory breweries (a ‘brasserie banale’), which was usually owned by the local feudal lord. Villagers either had to buy beer there or could brew there themselves, at a hefty fee. It is however hard to say in how many villages this was the case. Also, in some places with such a compulsory brewery, home brewing was tolerated, for instance in Soiron where many wills mention kettles, coolships and wooden vessels. An important question is: how often did they brew? 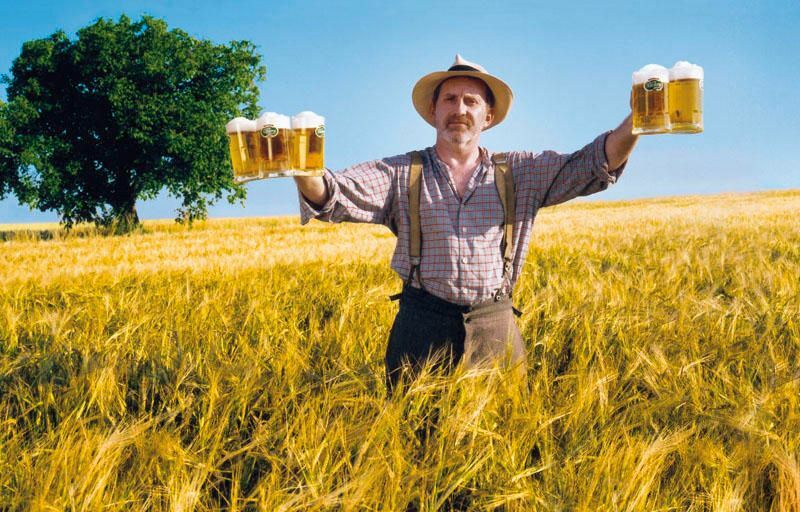 Up until the 18th century, beer was usually drunk fresh. Just like bread, you had to produce it all year. However, a brewery in the village of Moustier-lez-Frasnes is said to have made a ‘bière de provision’ as early as 1740, while Jean-Louis Dits told me the brewery that was later to become the Brasserie à Vapeur in Pipaix, was making a beer with the same name from 1785 onwards. In 1795, the territories that now form Belgium became part of France, which spelled the end of the compulsory breweries. With these gone, the brewing landscape became more diffuse. There were professional brewers, although they often combined their trade with agricultural activity. In some places, a public brewery remained in place, where villagers could go and brew their own beer. One of the last of these ‘brasseries communales’, in the village of Soulme near Dinant, was finally sold and closed in 1913. Actually, the small stone building still stands. Alternatively, people could go to a local commercial brewery and rent it to make their own beer, or they could produce it at home, like in Trembleur near Liège, where certain large farms did so around 1880, and forty years later were said to have a room or building still called ‘the brewery’. Again, all this is very hard to quantify. A 1823 description of all towns and villages of the province of Hainaut mentions many breweries, some producing ‘bière brune’ (brown beer), other producing ‘bière commune’ (common beer). But what does ‘common’ mean here? Certain towns had up to three breweries all making this ‘common’ beer. Some breweries made only 4 to 5 brews a year, others 40 to 50 or even 60 to 80 brews. A typical Walloon farm, in the Fourneau Saint Michel open air museum. Also, how often did they brew and in which part of the year? Pinon cites a few examples that suggest that homebrewers only made beer once or twice a year. A few times a year, the village of Montigny-le-Tilleul near Charleroi would smell of hops, when the family heads would brew their ‘braquet’ (small beer). In Trembleur, the large farms would brew twice a year, with grain and hops. Elsewhere, they would brew at Advent and Easter, when farmers had time to spare. There, brewing and killing the pig for its meat were the two events that marked the year. Yet, we mustn’t forget that professional breweries were also active, and they may have been brewing more often. So far, I haven’t had the chance to look at a rural Walloon brewery archive, but in late 19th century Flanders, the brewery in the village of Schoonaarde continued to brew throughout the summer. Moreover, the farm and family beers Pinon mentions are mostly nameless, while in the article names like ‘bière de saison’, ‘bière de garde’ and ‘grisette’ seem to be reserved to beers made in artisanal (i.e. professional) breweries. In Stambruges, brewers would claim all large cellars in the village to store their saison, which was brewed in November. The two village breweries of Jauchelette in Walloon Brabant made a saison, although the ‘ovris’ (workers) there were said to drink ‘tiercée’, a rather weak drink made with one third of good beer and two thirds of small beer. Oddly, Pinon seems blissfully ignorant of the fact that at the time he wrote the article, there were still some Hainaut breweries making saison. Clearly, he didn’t speak to the people at the Dupont brewery in Tourpes, who were by then already spreading the ‘saison is a farm beer for field workers’ story. The contents of an Autobrasseur kit: barley, chicory, spices and hops. The result is not real beer: the drink is based on sugar. Doesn’t the Pinon article contain recipes? It does. There are over a dozen of them. But don’t get all excited: they are not real beer recipes. Around the time of the First World War, it seems that the practice of home brewing, in the sense of making one or two good brews a year, died out. Likewise for the practice of making your own beer at the village brewery. Instead, there was a widespread fashion of making your own ersatz beer at home, year-round. It may have grown out of the scarcity of beer during the First World War, when many breweries were closed or destroyed and there was a shortage of raw materials. Many people in Northern France and Wallonia started to make homebrews based on fermented sugar. They would boil unmalted barley, hops, and chicory (for colour) in water, add sugar and yeast, and put it in bottles. Typically, this ‘bière de ménage’ (household beer) would be drinkable after a few days and was not for keeping. In France, a smart businessman even produced ready-made kits with barley, hops and chicory sold as ‘Autobrasseur’ (and it is still available today, if you want to try it). Clearly, these sugar-based homebrews have nothing to do with the pre-1914 farm beers: the fact that they all use bottles betrays how young these recipes really are. A few recipes also include some spices, and there is an interesting sub-variety of ‘beers’ made from figs, of which I’ll give you a recipe in an upcoming article. In any case, this fashion of home-made sugar beers continued into the 1960s and 1970s or so. What conclusion can we draw from all this? 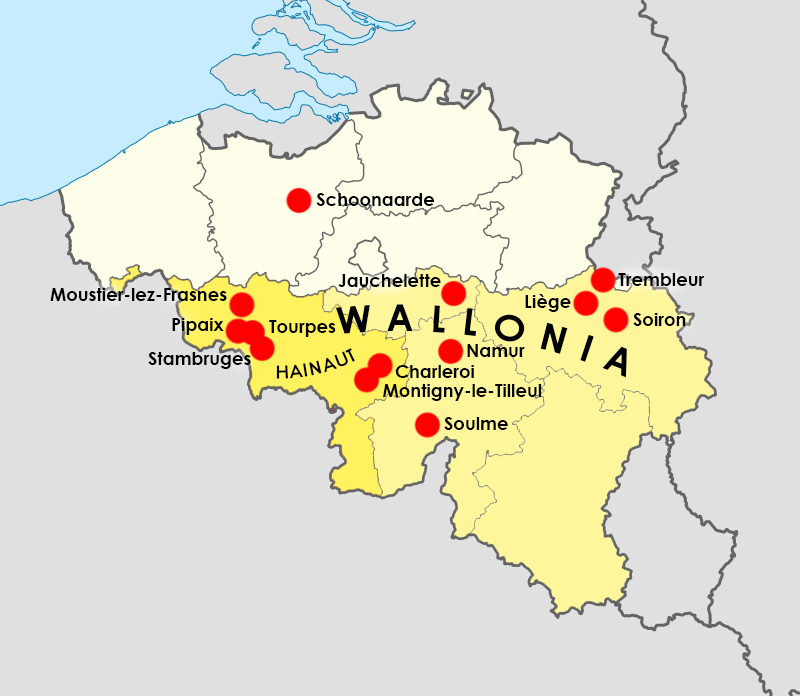 Although 19th century Wallonia was relatively the least rural region on the European continent, there was still a lot of countryside. There is some anecdotal evidence of brewing on farms and in communal breweries, and of a frequency of brewing of only a few times a year, which indicates that these were keeping beers. At the same time, there’s only a vague notion of how much beer was brewed in this way, what the beer was like and how it was used. The term ‘saison’ seems to be reserved for beer from professional breweries who, let’s not forget that, were also quite active in these villages and towns. In many Walloon cities, especially Liège, saison definitely was present as a beer style, so it was in no way reserved to the countryside. So what about everything that Phil Markowski’s book Farmhouse ales, and especially the contribution by Yvan de Baets, has to say about saison and its history? After all, it is this book that for many people formed their idea of what saison is or should be. I will look at that in an upcoming article. Richardus Paping, General Dutch Population development 1400-1850, Groningen 2014, p. 14; see https://www.rug.nl/research/portal/files/15865622/articlesardinie21sep2014.pdf. By 1900, over 50% of the Belgian population lived in a city of 5,000 inhabitants or more, making it the most urbanised country on the European continent: Paul Bairoch and Gary Goertz, ‘Factors of urbanisation in the nineteenth century developed countries: a descriptive and econometric analysis’, in: Urban Studies volume 23 (1986), p. 285-305, here p. 288; see https://deepblue.lib.umich.edu/bitstream/handle/2027.42/68656/10.1080_00420988620080351.pdf. Adriaan Linters, Architecture industrielle en Belgique, Industriële architectuur in België, Industrial architecture in Belgium, Liège, 1986 (cited on https://fr.wikipedia.org/wiki/Borinage); Henri Capron and Wim Meeusen (ed. ), The national innovation system of Belgium, New York 2000, p. 26-28 (cited on https://en.wikipedia.org/wiki/Belgium_in_%22the_long_nineteenth_century%22). Roger Pinon, ‘Recettes de bières de ménage en Wallonie et subsidiairement en Picardie’, in: Studium et museum. Mélanges Edouard Remouchamps, volume I, Liège 1996, p. 103-122. Pinon, ‘Recettes’, p. 107-108. Pinon also claims a saison was made in Huy as early as 1657-1660, but this seems to be a misreading. ‘Brasser de bonne saison’ to me seems to mean ‘to brew in the good season’ and not ‘to brew good saison’. Ph. Vander Maelen, Dictionnaire géographique de la province de Hainaut, Brussels 1823. City archive of Dendermonde, Archive brewery G. Blancquaert and G. Matthys, inv. no. 715. Achille Latour, Les brasseurs et la bière, Nonette , p. 6. This is the oldest mention I found so far of that story, and the author makes it no secret he spoke to the people at Dupont. Although, the latter may have continued until around the Second World War, according to Dupont’s Marc Rosier, cf. Yvan De Baets, ‘A history of saison’, in: Phil Markowski, Farmhouse ales. Culture and craftmanship in the Belgian tradition, Boulder (Colorado) 2004, p. 96-127.
 http://verlorenbieren.nl/verloren-bieren-39-bouleuse/. 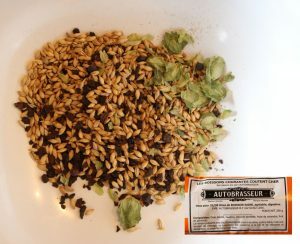 You can still buy these kits at autobrasseur.fr, though the company is currently phasing into a regular homebrew shop.